The Ocean Grove Camp Meeting Association is receiving $1.6 million in federal funds, or 90 percent of the approximately $1.8 million the association needed, to repair the boardwalk damaged in 2012 during Superstorm Sandy. Elected officials of both parties supported the Federal Emergency Management Agency coming through on this project. “We’ve worked tirelessly to see that Ocean Grove received this necessary funding and are pleased that the Ocean Grove boardwalk will continue to contribute to the vital economy of the Jersey Shore and quality of life for the town’s residents,” said Assemblywoman Mary Pat Angelini, R-Monmouth County. A problem had been that FEMA does not fund non-profit organizations for recreation facilities. But FEMA later took the position the boardwalk goes beyond recreation. 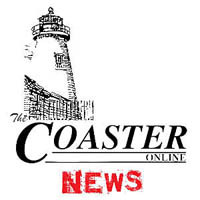 “I am gratified that FEMA finally understood that the Ocean Grove Boardwalk served more than just a recreational purpose, but is an essential part of the Jersey Shore infrastructure,” said Assemblywoman Caroline Casagrande, R-Monmouth County. Posted in Shore Communities and tagged Joe Sapia, Neptune, Ocean Grove.